Interested freshman applicants to the University must apply to Duquesne University (both academic major program and the PMHPP) and LECOM by April 1* of the application year. Students admitted to this program are not required to take the MCAT before matriculating to LECOM. When students apply to Duquesne, they must select an academic major and check both the PMHPP and the LECOM Linkage boxes on the Duquesne Admission Application. LECOM will contact the applicants they select to interview on a time scheduled determined by LECOM, but generally before the summer before matriculation to Duquesne. LECOM will make provisional acceptance decisions after the interview process is complete. Minimum 1240 SAT Score (Math + Evidence-Based Reading and Writing) or ACT composite score of 26 achieved during one attempt of the exam. Note: Final decision for admission into this linkage program is at the sole discretion of LECOM. Currently enrolled Duquesne PMHPP freshmen and sophomores can apply to the Early Assurance Program before the end of their sophomore year if they meet the program retention criteria. Students are not required to meet the minimum SAT/ACT admission criteria, in order to be exempt from the MCAT, he/she still must qualify using the minimum Academic Index Score (AIS index), otherwise the MCAT will be required. If the ACT score is less than 24 or the SAT score is less than 1170, a student will be required to take the MCAT regardless of the Academic Index Score earned. Please speak to a PMHPP advisor for more details. LECOM uses an Academic Index Score (AIS) that considers a student's ACT or SAT score (Math + Evidence-Based Reading and Writing) along with his/her undergraduate cumulative overall GPA as acceptance criteria. All provisionally accepted LECOM students are required to take Genetics and Biochemistry in place of the MCAT, and maintain a minimum of 15 credits a semester. Duquesne has a confirmed total of 5 seats per academic year, although LECOM may accept more students if there is space availability. *While April 1 is the deadline, due to the intricate application process, we highly recommend applicants apply earlier to assure that all materials are received before the required deadlines. Interested students may would apply to this program at the beginning of their junior year at Duquesne University. 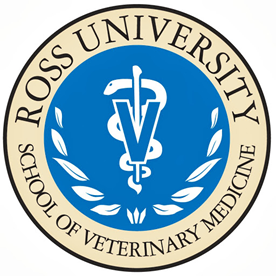 Ross University School of Veterinary Medicine, located in St. Kitts, reserves 3 seats (up to 30 days before the start of each cycle) for each application start (September, January and May) for Duquesne University students enrolled in the PMHPP (Undergraduate and Post-Baccalaureate). Total time in St. Kitts is 3 years and 4 months. Students then return to either one of Ross' 22 US clinical affiliates or 5 international clinical affiliates to complete their training. Students are required to have all pre-requisite courses completed, with the exception of one course that may be in progress, at the time of application. Students have the option to apply either via VMCAS or directly through the Ross website, but VMCAS GPA calculation rules will apply regardless of the application path. Students are required to obtain a letter of endorsement from the PMHPP to be included with their Ross application. Note: Final decision for admission into this early assurance program is at the sole discretion of Ross. RUSVM will allow students to apply to other schools during the same application cycle. This is not an exclusive linkage. RUSVM will give waive application fees for eligible individuals who apply, except where prohibited by law. RUSVM will also give priority consideration for available scholarships to eligible individuals admitted to RUSVM who qualify. *Admission requirements are subject to change at the discretion of either linkage program above and are outside the control of the Pre-Medical and Health Professions Programs. Please note that there may be additional events hosted by either program that linkage students are required to attend during the undergraduate years. These are competitive programs, and an interview and/or acceptance cannot be guaranteed. The Duquesne University (DU) - Philadelphia College of Osteopathic Medicine (PCOM) 4+4 Preferred Admission Review Program is a program that allows interested PMHPP sophomore students who intend to apply to PCOM as their top choice of osteopathic medical school programs at the time of medical school application to be positioned for a preferential Admission Review for acceptance into medical school. As early as the spring of the sophomore year, Duquesne PMHPP students self-identify their interests in this program to the PMHPP Office. These names are shared with PCOM each year, so that they may communicate directly with interested students. At the time of application to medical school, each student's interest is confirmed, and the names of all interested and qualified candidates are submitted to PCOM in September of the application year. This confirmation will assure that PCOM gives these Duquesne PMHPP students' applications preferential review for admission when they apply to osteopathic medical school through AACOMAS (the centralized application service for osteopathic medical school. These Duquesne candidates will be accepted into the Doctor of Osteopathic Medicine (DO) Program if they satisfy the eligibility requirements, have a positive interview, and are accepted by PCOM's Faculty Committee on Admissions. A minimum of three seats are held each year in the PCOM osteopathic medical school class for qualified Duquesne PMHPP students. Earn a grade point average of 3.25 on the 4.0 grading system through the end of junior year. Submit at least one letter of recommendation from an Osteopathic Physician (DO) and be eligible for a Duquesne PMHPP Endorsement letter. Students identified to PCOM during the sophomore year must assume responsibility to maintain all required communications with PCOM and to remain in good standing throughout their enrollment in the PMHPP to be eligible for final acceptance into the 4+4 program with PCOM. All final admission decisions are at the sole discretion of the Philadelphia College of Osteopathic Medicine. ***Effective Fall 2015, Duquesne University will be discontinuing its linkage agreement with the Temple University School of Medicine (TUSM).